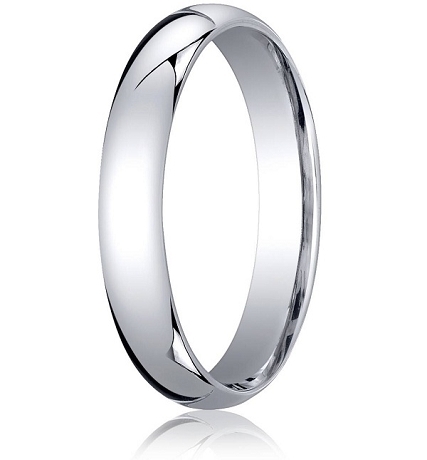 This 4 mm 10K White Gold Wedding Band is the perfect choice for the well-dressed man. Traditional in style, this slim, comfortable band is highly polished and perfect for every day wear. 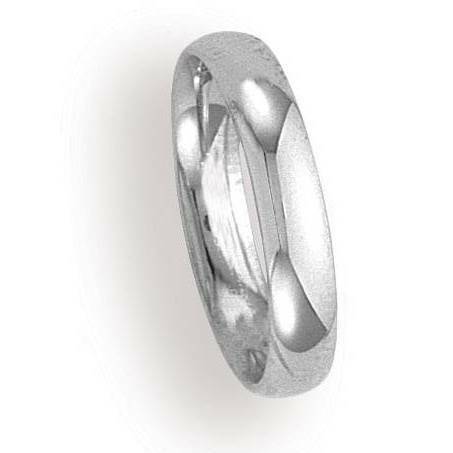 Our famous Comfort-Fit styling with a curved interior, this ring has a slightly domed face made of shiny 10K white gold. Men who value the elegance and polish of a plain band will appreciate the quality craftsmanship of this wedding band. Comfort-fit rings should be ordered 1/2 size smaller! 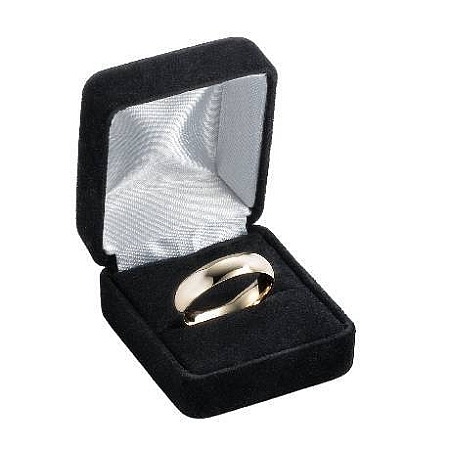 This ring is exactly what I was looking for and for a great price. It is so beautiful in person and the comfort fit is really cool. I can't wait for my fiance to wear it.